Price per person. Drinks and taxes included. "Oh, bella Italy... Blessed are those who invented pasta and pizza! Is it true that you would eat Italian dishes day in and day out without ever getting tired? 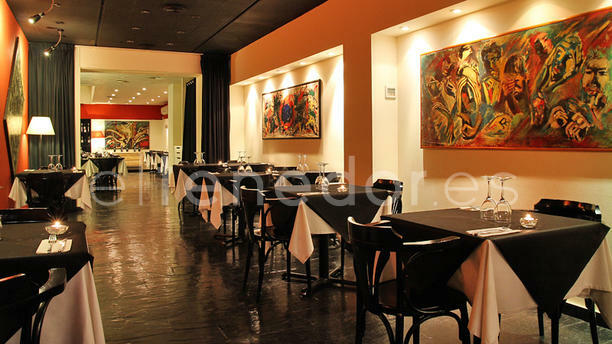 In the restaurant A Gianni in Eixample Dreta Barcelona, you can savour the most desired artisanal culinary proposals. Give yourself an Italian tribute in a place where the authentic recipes of these delicacies are very well known. Let the frozen and prepared foods for another day, because even if you think you know the true gastronomy, there is nothing like an "
Surpassed expectations. What a gem! My risotto was so oily and lacking of cheese, the flavour was plain. Nevertheless, the first course and dessert were correct. Excellent meal and great service! Calm, relaxed atmosphere.The lady who served us was really lovely. The food was excellent - I recommend the baked provolone to start and the pizzas were excellent. Thank you for a lovely evening! Great food and service, as usual! Todo bene como en Italia !! Great food and the service was outstanding. Really loved it. Service should get better, for example, if I ask for a second glass of wine at least I spect to change the glass, that happens in every good place, didn't happen here; there are just two people attending then hole place not enough. Food wasn't that good for the price, I ordered the "king prawns" pizza not even close, taste not that good. Hope this comment helps.